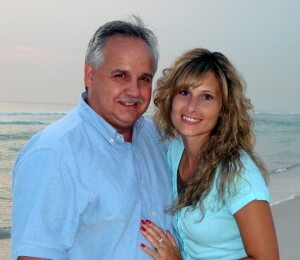 We’ve Got Hope Ministries was established after my oldest child of five, Mark Jr., went home to be with the Lord on July 12, 2005. Since then, there have been thousands of salvations in Christ (including over 300 at the funeral services) as a result, and millions have heard the testimony of how great and loving God is during our most challenging times. Today, family troubles, drugs, alcoholism, bullying and thoughts of suicide bombard families. Our message is one of encouragement: Surrender your circumstances to God and allow Him to guide you to victory. I share this through the personal testimony of a loving God in the midst of the most tragic event of my life – the death of my oldest son. My hope is that through an open-hearted approach and deep compassion for the struggles of others I can deliver a message that is applicable to anyone in a difficult season of life and most importantly point them to the Savior. If your desire is to reach students and families experiencing the trials of life with first-hand understanding and compassion, please contact us. 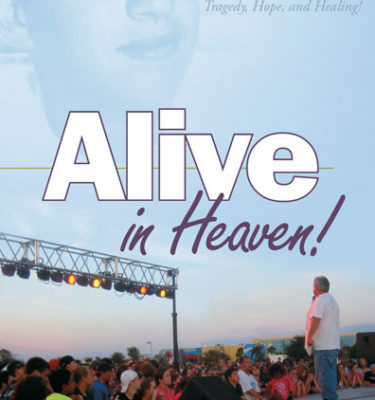 Alive in Heaven the Book — Mark tells his story with honesty and vulnerability, sharing his journey from grief-stricken thoughts of his own suicide to God-fueled courage and a ministry that now offers comfort and hope to thousands. Celebration of Life Festivals — annual gatherings held in Ohio and Florida celebrating the gift of life at birth, our salvation and new life in Jesus Christ, and then our eternal life in heaven. Read and Believe Ministry — promoting the Gospel of Christ through products that people read and then believe. We offer many items such as posters, shirts and more with scriptural messages of hope and healing. Speaking Engagements — Mark Canfora, Sr. brings a powerful, life-changing and inspiring message of hope and healing to audiences worldwide. He is available to speak at churches, youth groups, leadership conferences and business meetings.